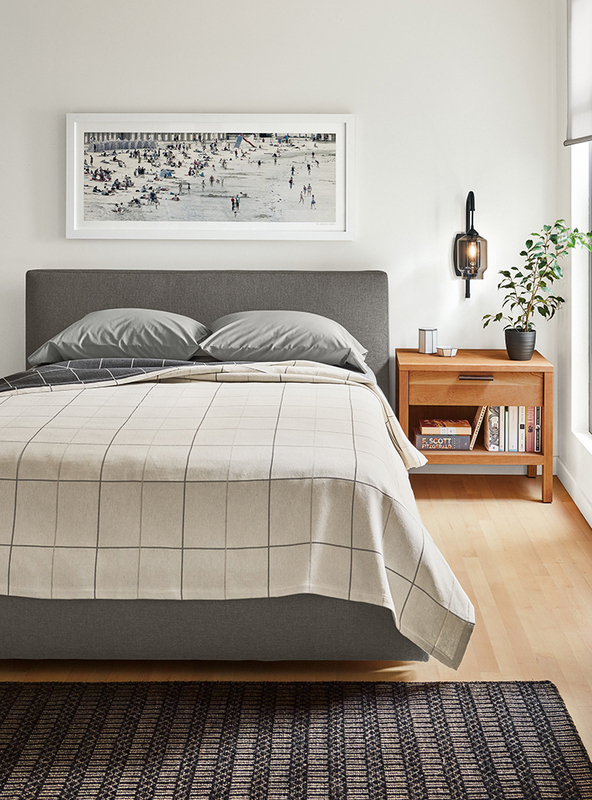 In space-challenged bedrooms, every inch of square footage counts. Here are five clever solutions to maximize storage without cramping your space or style. 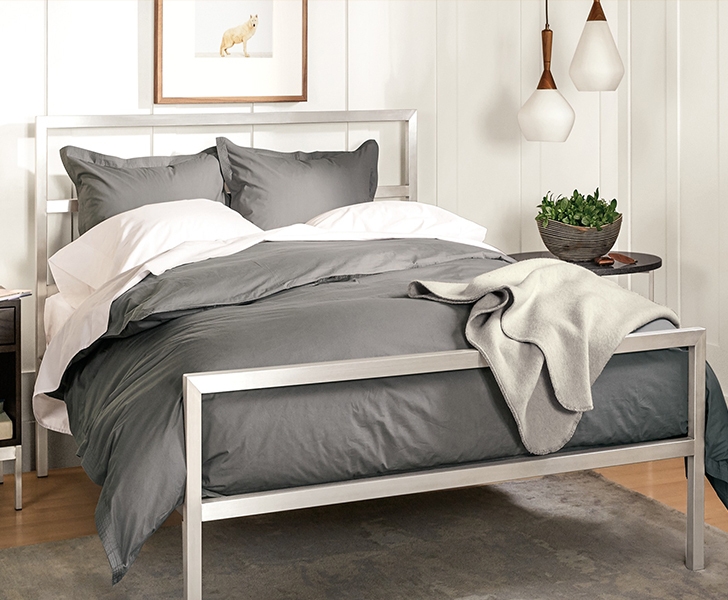 The bad news: In a small bedroom your bed takes up most of the space and, let’s face it, the bed has to stay. The good news? You can easily turn it into a storage opportunity. Storage beds and under-the-bed drawers won’t take up any more real estate, but will add a whole area of storage to your sleep space. Multifunctional pieces are key in small rooms. 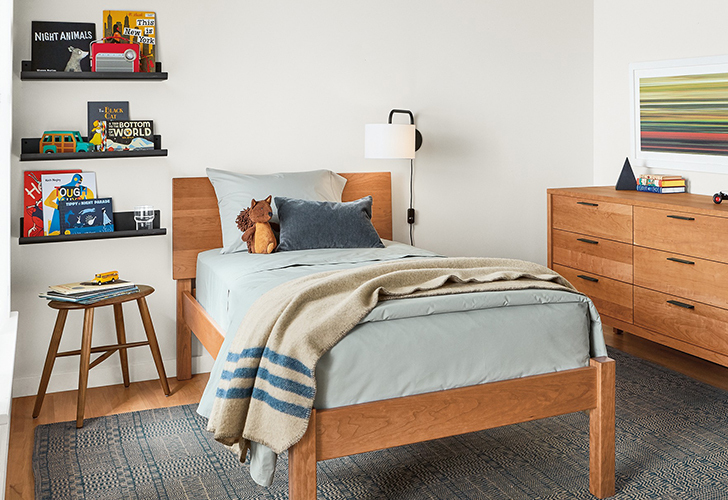 In this bedroom, the Aria table works as a nightstand and an in-bedroom work station. Plus, the pedestal base is a major space saver. Win-win! 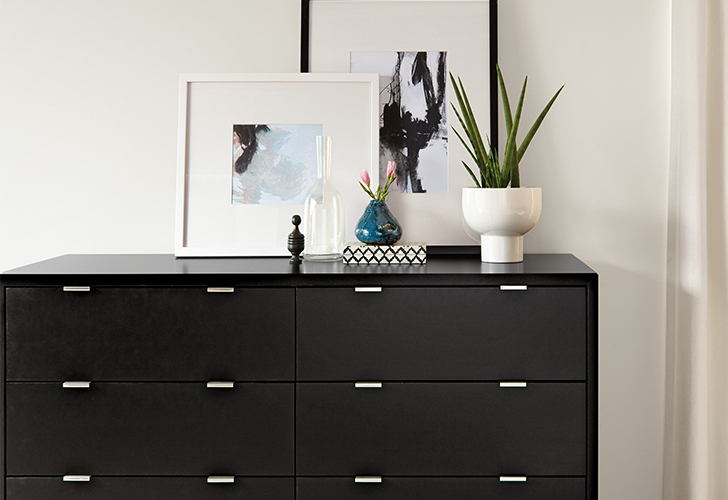 Bring organization to your small space with a custom dresser. Designing a piece that perfectly fits your space will maximize your storage without overpowering the room. Plus, we make it easy with our online custom cabinet builders. Get as many things off the floor as possible. Wall-mounted storage and lighting makes a room look bigger. Swap out your table lamp for a pendant and use floating shelves or ledges to take advantage of under-utilized wall and ceiling space. In a bedroom, rugs are a great way to make the space feel warm and cozy. However, choosing the right rug for a small space can be tricky. We recommend going with an organic shape like a Cowhide rug, which lends a nice flow to a space and doesn’t feel sectioned off. Looking for more ideas? 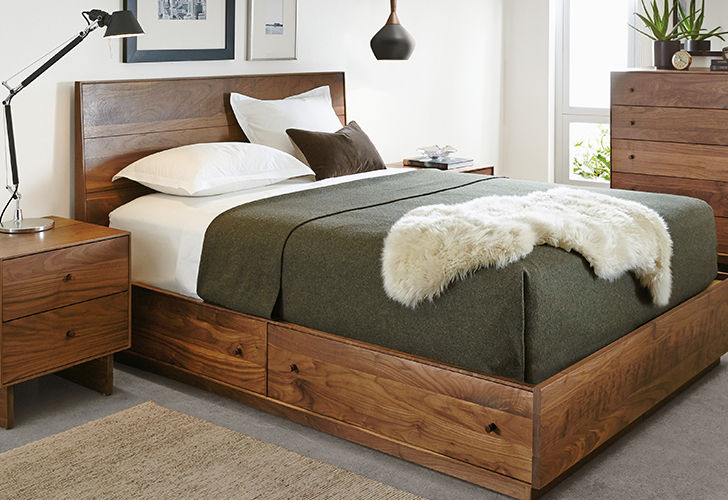 Find additional inspiration in our bedroom photo gallery! I am looking for this type of article. Because my room is small.